Whatever shortfall there has been in the number of Canadians and Americans who winter here has to a great extent been compensated for by the chilangos. “Chilango” is a Mexican word for people from Mexico City. I am careful about using it. It is like the word “gringo.” Said in the wrong tone of voice, it can have an insulting edge to it. I do not intend any insult in using it. 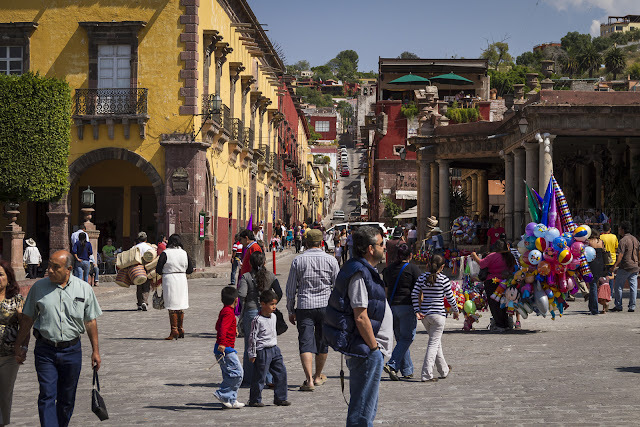 Not only are there an enormous number of chilango tourists here in the weekend, many men with the means to do so now house their families here, work in Mexico City during the week, and spend the weekends here with their families. The stress of life in that city has become difficult. This is what I am told anyway. This I can say from my own observation. They dress differently. They act differently. They certainly do drive their automobiles differently. Somewhere there is a little essay that I wrote on the serene and pleasant experience of driving in this town in normal circumstances. Nobody in a hurry. Not a traffic signal in town, yet everyone patiently waiting their turn at busy intersections. You can go through the entire work week and never hear a horn honk in town. Then on the weekend you hear horns honk. If you are close enough to the car with the honking horn, you invariably notice that it has Distrito Federal plates on it. I do not dislike either of these groups, neither the winter residents from the north nor the chilangos. Their presence is essential to the economy of this place. I simply prefer not to be around them. It is easy to avoid them because of their tendency to flock together in certain limited, discrete areas of the city. For example during the winter months, I do as much of my shopping for supplies as I can in the vicinity of this plaza and Mercado San Juan de Dios next to it. That is essentially an open sewer running down through the middle of the place in the photograph. In part because of that, there is neither gringo nor chilango in sight down there. Wow, interesting how the season changes your population huh? As always loving following your photos. p.s. I posted a video and blurb I'm not sure if you've seen before. It's a sort of trailer for an epk. There will be some familiar faces to you in the video. I did visit, Candy, and enjoyed it immensely. Familiar faces, yes.